The demolition of Parramatta Stadium – and more specifically the fact that those who make these decisions don’t seem too concerned with how they affect those who actually use the facilities – is a textbook example of what happens when you don’t control your own destiny. It’s safe to say that however dated Parramatta Stadium was, its demolition and three-year rebuild put the biggest handbrake on the Wanderers imaginable. The final A-League game at the old venue was that famous 5-4 semi-final win over Brisbane Roar in front of a sell-out crowd of more than 20,000 fans back in April 2016. The Wanderers haven’t come near such dizzying heights ever since. It’s hard to say the club has done much wrong in the meantime. They could probably do with a few more homegrown players, but then that’s true of every A-League side. They boast a big-name European coach and have had no problem attracting quality foreign players, they’re pumping millions of dollars into their academy and the club more or less keeps the lines of communications with fans open. But it’s the willingness to do the latter that has potentially cost them dearly over the past three seasons, and may well have left rival A-League clubs second-guessing. Why? Because it was Wanderers members themselves who voted to move to the former Olympic precinct in Homebush. The first game at ANZ Stadium back in October 2016 against Sydney FC attracted a crowd of just under 62,000 fans, but it was all downhill from there. The first few games at neighbouring Spotless Stadium all drew five-figure attendances but by the time the Wanderers played the Central Coast Mariners in Round 19 of that season, crowds had dropped to less than 10,000 fans per game. And while attendances ebbed and flowed over the next couple of seasons, it was clear to everyone that both ANZ Stadium and Spotless Stadium were an ill fit. How different might things have been had the Wanderers chosen to base themselves out of Penrith Stadium instead? Or, dare we say it, out of Campbelltown? Would a Macarthur-South West Sydney side be preparing to enter the league next year if the Wanderers had moved there temporarily instead? These are all just hypotheticals, of course, and at the end of the day the club had to make a decision one way or another on where to host their fixtures. But having sought the input of members, some of their fans were quick to turn around and label every aspect of the matchday experience at Homebush as unacceptable. And having decided the action was too far from the pitch and the security presence heavy-handed – in both cases largely true – many Wanderers fans simply stopped showing up. That might not have attracted so much scrutiny if it wasn’t for the fact that many were the same fans who happily called themselves ‘the A-League’s best’ when Parramatta Stadium was packed. And when the Wanderers take on Leeds United in what should be a sold-out friendly at Bankwest Stadium in July, several thousand of these fans will suddenly reappear. They should probably think twice about labelling other fans ‘Eurosnobs’ or ‘plastics’ when they do so. 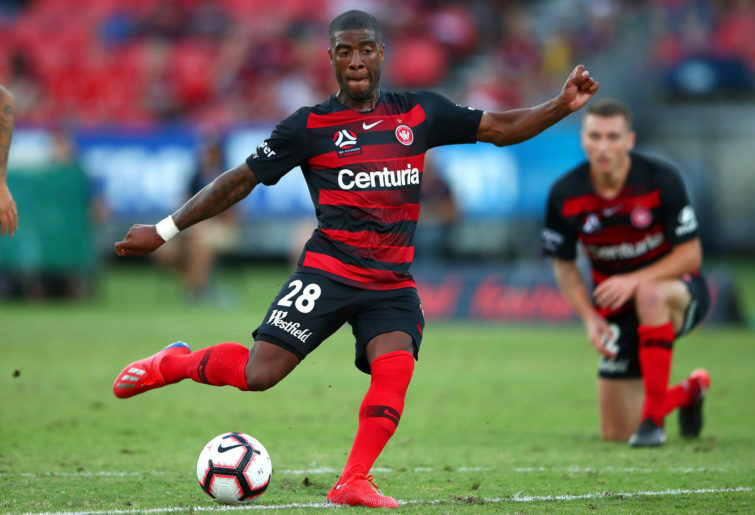 And when it comes to questionable decision-making, it’s hard not to wonder whether the Wanderers couldn’t have salvaged something from this season by making a more concerted effort to play Saturday night’s derby at Bankwest Stadium rather than in Homebush. Instead, it’s the Parramatta Eels who enjoy the honour of opening the new venue. 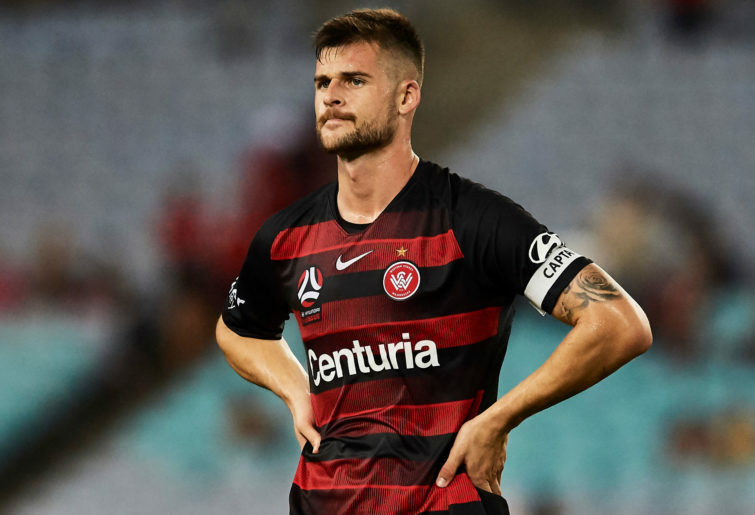 Meanwhile, the Wanderers count the cost of a tough few years away from home and perhaps even ponder the question of whether they can still count on their fans at all.